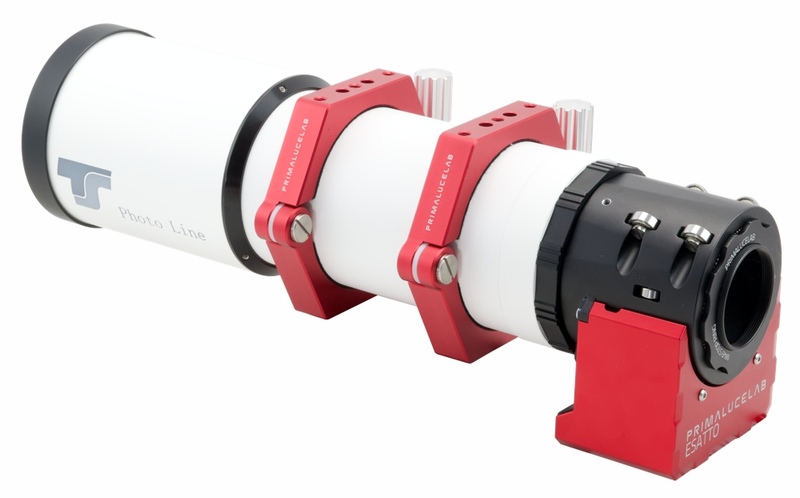 If you are searching for the most precise motorized focuser to use the TS-Optics Photoline FPL-53 80mm f/6 apochromatic refractor for astrophotography, this adapter allows you to connect ESATTO 2" to this telescope. By adding this adapter to ESATTO, your new focuser will have the same thickness of the standard one. Based on the camera and accessories you want to connect, you may need extenders to reach the focus with your camera.